am will be together. Everything is going to plan. 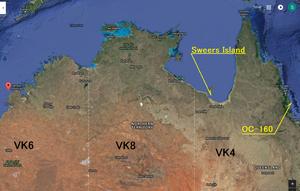 Just letting know - all 400+ direct QSLs for VK5MAV/8 OC-229 have been posted today at Adelaide's CPO. Hopefully they will arrive to everyone not bended, destroyed, etc. 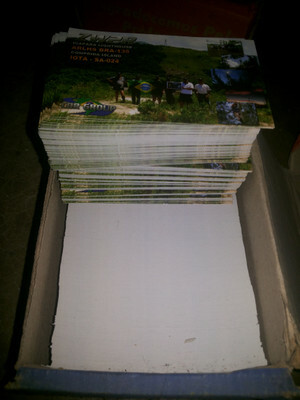 However, if it will happen occasionally - please let me know and I will re-send the card to you. Enjoy the rest of Christmas hihi! 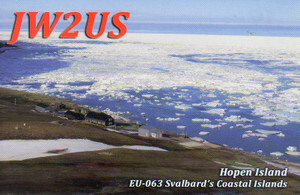 Have QSL cards from his Arctic trip posted in time for the annual update. This should have been very easy to gather from our website at http://www.iotahunter.org. In any case: approx. Jan 7 to 11 (local time), operating on all bands from 10 to 40 m.
Dear colleagues, friends and RRC members! On behalf of Council of Russian Robinson Club I congratulate you with Christmas and New Year 2016! displays of a slide-show about last most interesting expeditions of RRC members, rewarding of winners in various nominations RRC for 2014, a traditional football match with the RRC team, various competitions... It is possible to examine results of participation of RRC in InterHAM-2015 on http://robinsons.ru/news/rrc_interham_2015/2015-10-06-362 . Please visit and feel free to share the link with your friends! In the expiring year there were also other noticeable events in life of our club. 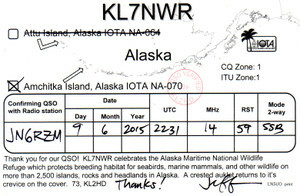 So, under flags of Russian Robinson Club and the Russian Geographical Society radio expedition RT9K/0 on Dobrzhanskogo island of Shelikhova Bay Group on Kamchatka was successfully carried out – IOTA NEW ONE AS-203 allocated according to the demand of RRC in 2014 was for the first time activated. 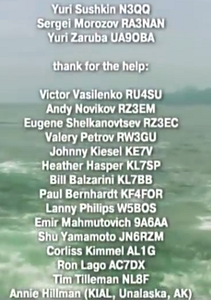 Pleased "islands hunters" (the world radio amateur community) expeditions of "Russian Robinsons" – RI1PT (island Otdel'nyi Kamen', EU-188), R1ALA/1(island Vaygach, EU-086), R7AL/0 (Malminskiye islands, AS-172), CE0Y/RW3RN (Easter Island, SA-001), RW3RN/HI7 (Hispaniola, NA-096), CE0Y/RZ3FW (Easter Island, SA-001)... Many "Robinsons" showed the activity, both as individuals and as a part of various teams. 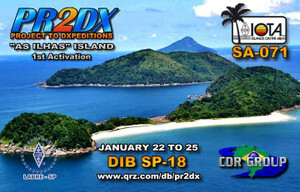 RRC/IOTA/DX expeditions proceed and expand the geography! accepted the outstanding traveler of Russia – Anatoly Kulik RA9OFK/mm. In this regard it should be noted revival of interest in our Russian islands in the Arctic and in the Far East. For 2016 we are planning many interesting actions – watch news on the club site www.robinsons.ru and at the forum rrc-iota@yahoogroups.com and for breaking news at www.dx-world.net . actively participating in expeditions. 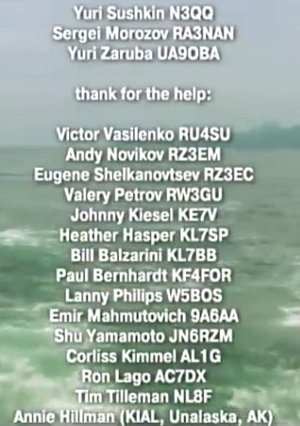 Taking an opportunity I invite radio amateurs who share our purposes and dreams, in ranks of Russian Robinson Club. Christmas and happy New Year! Hurrah! I called CQ on 14.045, 18.085, and 21.045 this afternoon, but I only heard one station from Japan. He was calling another US station. I must work tomorrow, but I will listen again on those frequencies at 0000Z on Dec. 23. 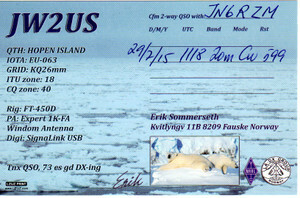 I will try to be QRV on 26-27th and 30th-3rd Jan.
21.045: J*3**Q. I heard J*8**Y and gave him RST 329, but he did not hear me. 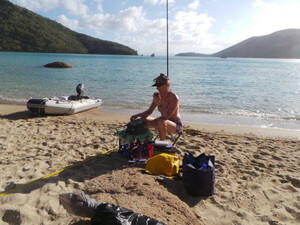 Shu, I tried here but only signals were on 20 mtrs..A JE3AT wrking a KL7. 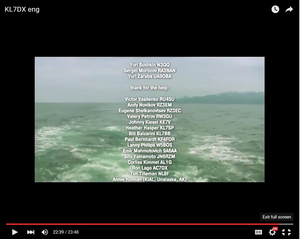 Put my call out there before and after 00:00. 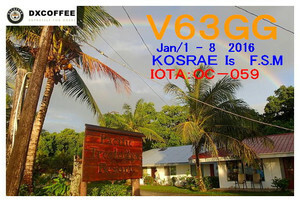 VK5MAV/8, Croker Island, IOTA OC-229, November 2015. 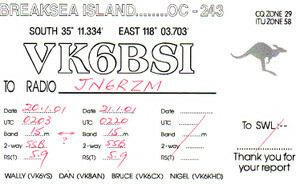 VK5MAV/P, Kangaroo Island, IOTA OC-139, February 2014. VK5MAV/5, Kangaroo Island, IOTA OC-139, February 2011. 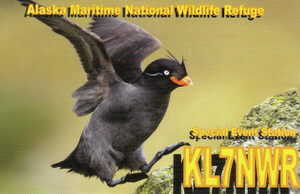 「I just forwarded your message to Yuri, UA9OBA, hope QSL's will be delivered very soon. Happy New Year to you and your families! 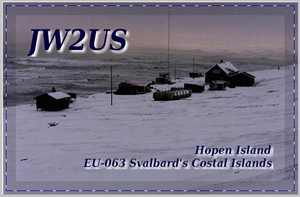 All EU-063 QSL card requests via Clublog OQRS direct, OQRS bureau and standard mail,have been processed and mailed. one answered my call on 18.085.
week, and I will listen for J*3**N, J*3**Q, J*3**A and J*8**Y this weekend. > Very sorry I didn't copy your signal today's Sked. > I heard J*1**Q who is my friend is calling you on 14045. > J*3**N,J*3**Q,J*3**A and J*8**Y would like weekend's Sked with you. > They have their job weekday. > I am looking for you. AS-163 as R3CA/0. It was first activity (and last) from this IOTA group. R3CA/0. (also first and last activity from this IOTA group). Team Antipodes would like to thank all of you who have already joined our project and provided us with invaluable financial support. 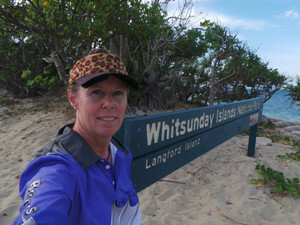 The list of donors can be viewed on the expedition website (http://iotahunter.org/donate/). - The team will meet in Invercargill on Jan 2 and spend the evening/night treating all their clothing, boots, sleeping bags, backpacks, etc. with an antibacterial and disinfectant approved by DoC for quarantine. - A comprehensive quarantine is scheduled on Jan 3, which will additional include a careful spraying and treatment of all equipment (which we must bring and carry in waterproof pelican cases). - All food provisions must be purchased from a specially approved DoC quarantine depot to comply with their regulations. 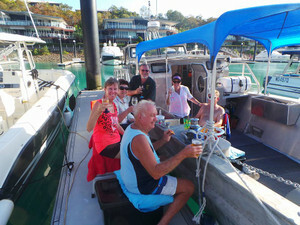 - Following the quarantine, we will rent a van and drive to Dunedin on Jan 4, where we will board the boat. 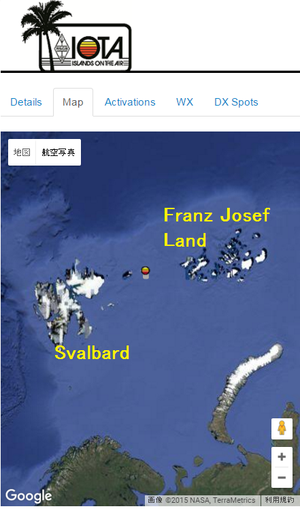 - It will take 3 days to sail to the Antipodes. Landing is only possible in cold, southerly winds. 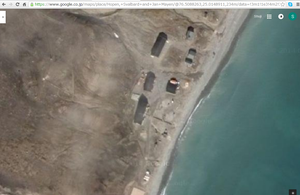 There are only two landing spots, both of them involving wet landing, one more dangerous than the other. 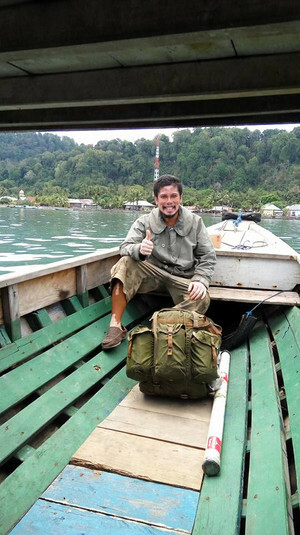 - Unless the sea conditions are perfect, landing can only be done away from the vertical cliffs on top of which the research hut is located, and will involve more than a couple of miles of steep hiking through boulders and slippery terrain. - All equipment, personal effects and provisions will have to be carried out by our backs. 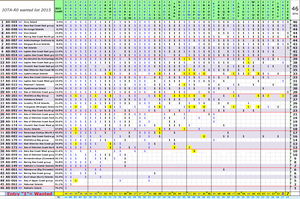 It will take several trips back and forth to finish this work. - We expect rainy, misty and foggy weather, with temperatures of 13-14C, hopefully with some sunny breaks. 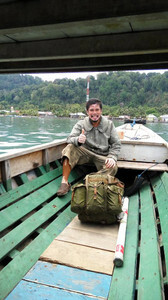 Same time last year, the DoC team was hit after landing by a strong hailstorm while the temperature plummeted to 3C. - Please keep in mind that delays can occur at any step of this project! We regret to inform that we have already incurred additional expenses as a result of higher cost of plane tickets over the holidays, baggage surcharges, and quarantine requirements. Any delays will obviously lead to yet additional costs. 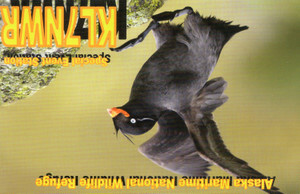 Over the last few days we received several messages in which IOTA chasers expressed doubts that they will be able to make it through, either because of the propagation path (western EU), the anticipated pile-ups (ZL9 being a relatively rare DXCC), etc. While we cannot possibly guarantee that we will be able to log every single station which will be calling us, we wish to assure the IOTA chasers that our operators are familiar with the IOTA community, and that we will do every possible effort to provide it with a satisfactory service world-wide. Meanwhile, as we continue to look for financial support from the amateur radio community, we will have to divide our attention to satisfy the needs and expectations of all groups and individuals who will step in and support this project. We would like to use this opportunity to ask once again the IOTA chasers who haven't yet committed to this project to come on board! We do need your help now, so please, please support our team at http://iotahunter.org/donate/!